It's December! Hanging around all the shopping malls and all of them are so well-decorated with Christmas trees and of course a Christmas theme! Even though it's not snowing in Malaysia yet we can still experience some of the temporary snowing moment, feeling the cold like other countries do, breathing hardly as you will inhale all the cold air that will freeze your nostrils! Besides jingle-ing by all the Christmas songs, singing the Christmas Carols, running a rain deer or even sharing a Christmas couple dinner set with your love one, of course the most anticipating part of the Christmas will be ------- Getting a Christmas Gift! So, I was so excited that I have received an earlier Christmas gift from Ollie! Can't wait to unwrap the gift! Oh My God! 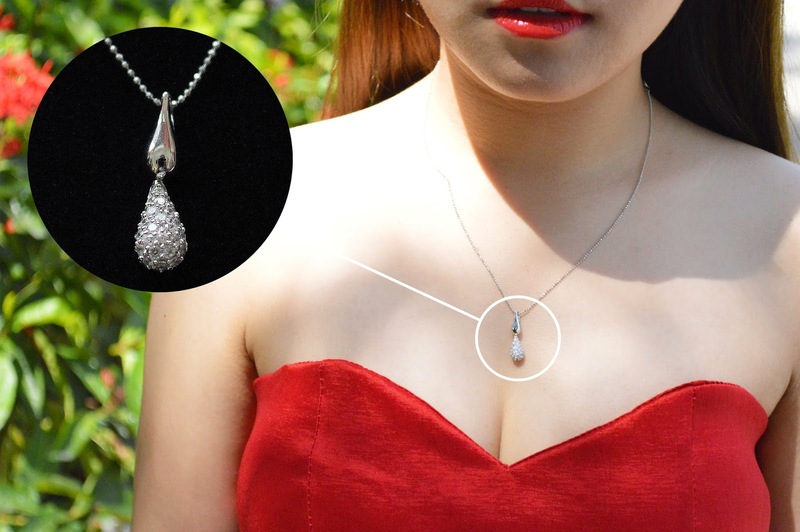 It's an elegant Teardrop Pendant which suits every special occasions. It's definitely my favorite right now as it reached my doorstep just in time because the coming 2015, I will be attending countless wedding dinner and somehow I may be one of the bridesmaid! The Teardrop pendant is made of 925 sterling silver with Rhodium plating which makes the necklace to have more shine and to be more durable as it will resist scratches and tarnish. Their jewellery is also nickel free and hypoallergenic (to cause fewer allergic reaction). An imported necklace that comes with brilliant refined round CZs (Cubic Zirconia) which is the highest grade stones, it makes this teardrop pendant extraordinary classic yet charming. Let's see how I pair the exquisite necklace with my outfit! Do note that Rhodium plating on the sterling silver jewelry will eventually wear off with daily wear and eventually will reveal the original colour of silver, which is bright silver. However the rate of how quickly it will wear off depends on how often you wear the jewellery. They will give you a small card on how to care for sterling silver jewellery and as long as you follow the guide, your silver jewellery will be tarnish free. Besides the elegant bracelet, here comes an Elegant Pearl Bracelet in Grey! Perfectly grace! A faux pearl bracelet that comes with two different designs on the side and in two tone colors, which kinda resemble the dual characteristics in me. This is really a simple yet expressive piece. It is exclusively designed and handmade with high polish finish. Meanwhile, you can choose your preference bracelet length! At the front view, it comes with a dragonfly toggle clasp. Do you know that Dragonfly jewelry carries a unique meaning? It represents strength and courage, overcoming failures and fighting for something you want. It represents renewal and power, after facing all the obstacles or challenges in life. This side comes with triple strands of mini pearls in light grey color. It gives me a sense of youth and sweet looking. This side comes with a series of larger pearls in darker grey tone. Whereby it's much mature and intense. 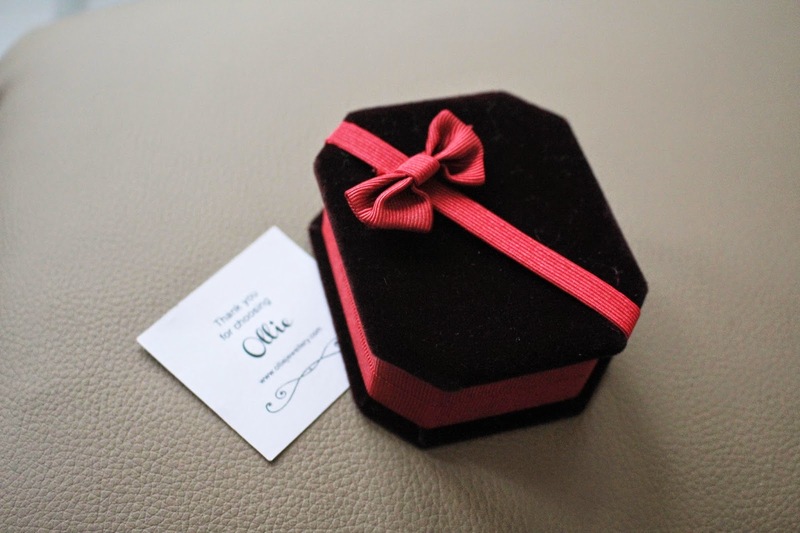 Besides pendant and bracelets, Ollie Jewellery is also selling rings and earrings, some of them even come in set! All the accessories and jeweleries are absolutely adorable and I really have a tough time while making decision. Clean your jewellery regularly with soft 100% cotton cloth or even a mixture of mild detergent and little water. Usage of tooth paste or tooth brush for cleaning is not recommended instead using fine and soft brush to remove dirt behind stones. Store jewellery in dry and air-tight area, like sealed bag or jewellery box. Store your jewellery separately to prevent any friction or rubbing action against other jewellery. Remove jewellery when doing household tasks or heavy duty activities. Avoid jewellery in contact with water. Girls, get one for yourself, gear up for the Christmas! 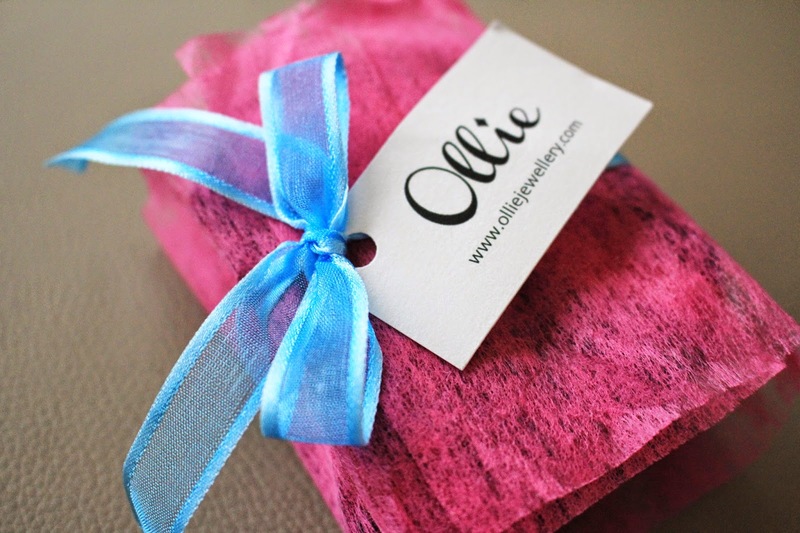 With affordable price, Ollie Jewellery provide affordable elegance to you! Boys, get one for your girlfriend or mother, surprise them! By the way, I will be holding a giveaway in collaboration with Ollie Jewellery! 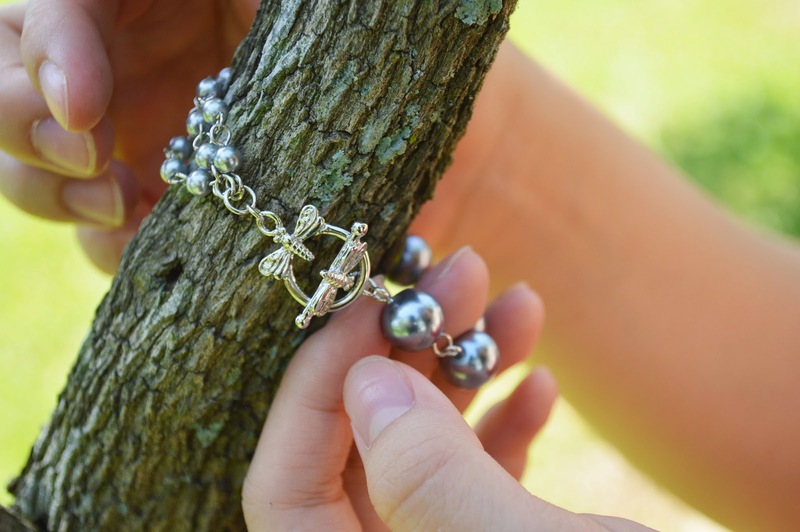 One winner will be selected to win a Pearly Chain Bracelet! Complete the entries below! p/s: Outdoor pictures courtesy to Diam Tnek. Dress from Sense & Style. 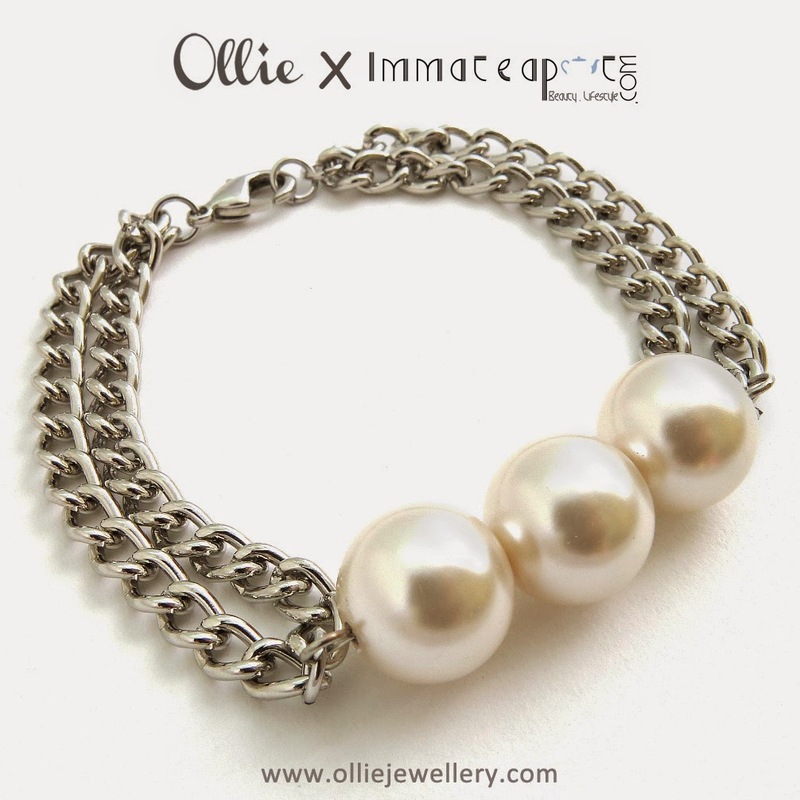 I deserve to win Ollie's Pearly Chain Bracelet because the design catching my eyes & I'm so in love to it that i must join this contest to try my luck to win 1 for myself since i don have any bracelet. I like your look here! Elegant! I deserve to win Ollie's Pearly Chain Bracelet because as I want to present this wonderful bracelet to my mother as I want to say thank you to her for her support.I hope she will forgive me for whatever that I have do in 2014 and hurt her. This bracelet so precious as my mother is precious to me. I Hope i can win this bracelet for my mum. Why I deserve to win? [E]xquisiteness to any outfits I wear!